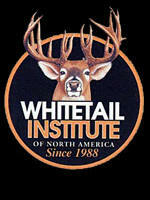 DeLange Seed offers the Imperial Whitetail Brand seed mixtures to attract and hold deer. These seed mixtures along with the nutritional supplements and mineral products available from the Whitetail Institute of North America will greatly enhance the overall health of local deer populations and may result in trophy antlers. DeLange Seed will also put together custom mixtures (based upon individual needs) that are designed to attract and hold differing classes of wildlife. Imperial Whitetail Clover produces 30 - 35 % protein 12 months a year and can last for up to 5 years without replanting, saving you time and money! ALFA-RACK is the solution for areas where soil conditions are not well suited to growing Imperial Whitetail Clover or other planting requiring heavier, moist soil. This exciting formulation of specially selected, deep-rooted alfalfa and clover seed was blended to thrive in faster, draining, lighter soils … places you probably think you can’t plant now! Imperial PowerPlant, the newest product offered by The Whitetail Institute, is an annual planting that consists of a mixture of warm season forages that work together to offer an ultra high-protein food source. Completely different than any product developed by the Institute, PowerPlant provides more tonnage of browse per acre than any food plot product available. If you have out-of-the-way or hard-to-get-to locations you have always wanted to plant; or you simply don’t have access to a tractor or cultivating equipment, the new IMPERIAL "NO-PLOW" WILDLIFE SEED BLEND is the perfect product for you. NO-PLOW is also excellent in drier climates where summer rainfall can not be counted on. Start this product in late winter and provide it until the emergence of green vegetation to provide extra nutrients to improve body condition and early antler development. Switch to this product after the emergence of green vegetation (mid-spring) and continue it throughout the summer months to enhance antler growth and development. In the fall, switch to Sustain to help get bucks through the rut season and to benefit all deer during the winter by reducing weight loss and increasing overall health. Regardless of any mineral or vitamin deficiency in your particular habitat, Imperial 30-06 formulas provide all the principle elements your wild herd could possibly need. The PLUS PROTEIN formula provides a 10% protein boost as well. After analyzing existing attractants and quick-fix "lures" the Institute set out to formulate the very best attractant. This one not only strongly attracts deer but also is easy to use. Simply shake the bottle, pour out half; shake again and pour the remaining mix on your site. Deer are instantly drawn to the site and have been known to dig and eat the dirt where the Magnet Mix has been poured.